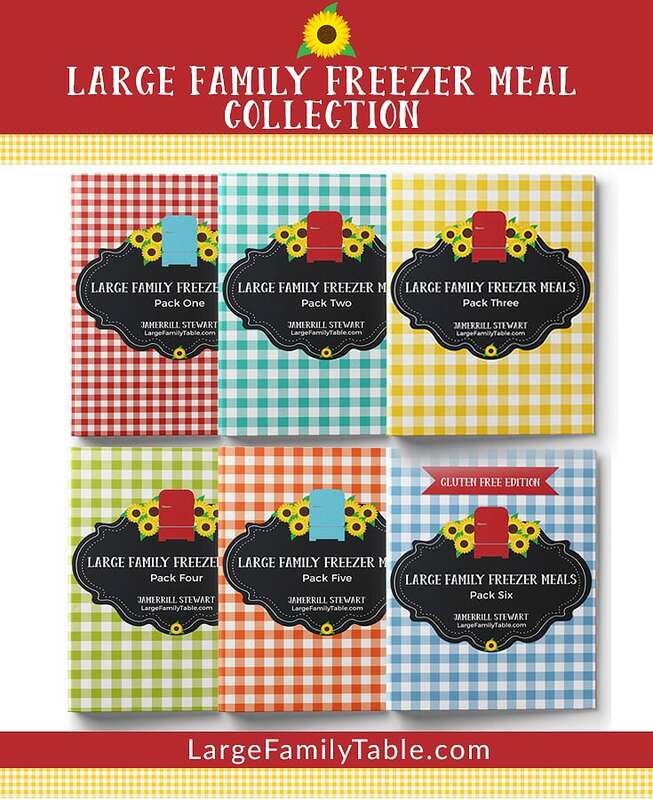 My large family freezer cooking day wasn’t overly ambitious. I think you might be laughing at me for saying that, because my goodness, I do tend to get ambitious on my freezer cooking days, don’t I? But this was totally doable. I was sure of it. I’m sure a momma who is freezer cooking and meal prepping straight through could get these large family recipes done in about 3 hours. Not all mommas get that “straight through batch cooking” time on every attempt (amen? amen!). Let’s look at my plan for the day and see just how it all played out. On my large family freezer cooking day for these few hours were 3 different types of baked oatmeal breakfast muffins, hearty hamburger patties, parmesan turkey burgers, and tuna cakes for the freezer. I’ve been asked a lot about my HUGE 30 qt mixing bowl. 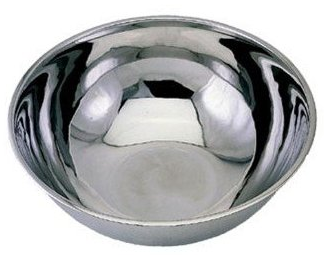 Here’s my Amazon affiliate link for the exact bowl I purchased on Amazon! I hauled out my mega-sized mixing bowl for the muffins first. Once Mr. Daniel and I got the first batch of muffins in the oven, I got busy mixing up the burgers while the muffins baked. And then, it was time to do some dishes and feed baby Benjamin. Muffins were moved in and out of the oven, and we ended up with several dozen of each kind. 120 ozs of tuna got turned into tuna cakes for the freezer next and while I did put some in the freezer, I was also making them for our dinner that evening. We ended up with 16 tuna cakes for dinner and 14 went into the freezer. All in all, my plan worked out really well and my freezer is very nicely stocked for the next few weeks! I hope you enjoyed this large family freezer cooking day vlog! 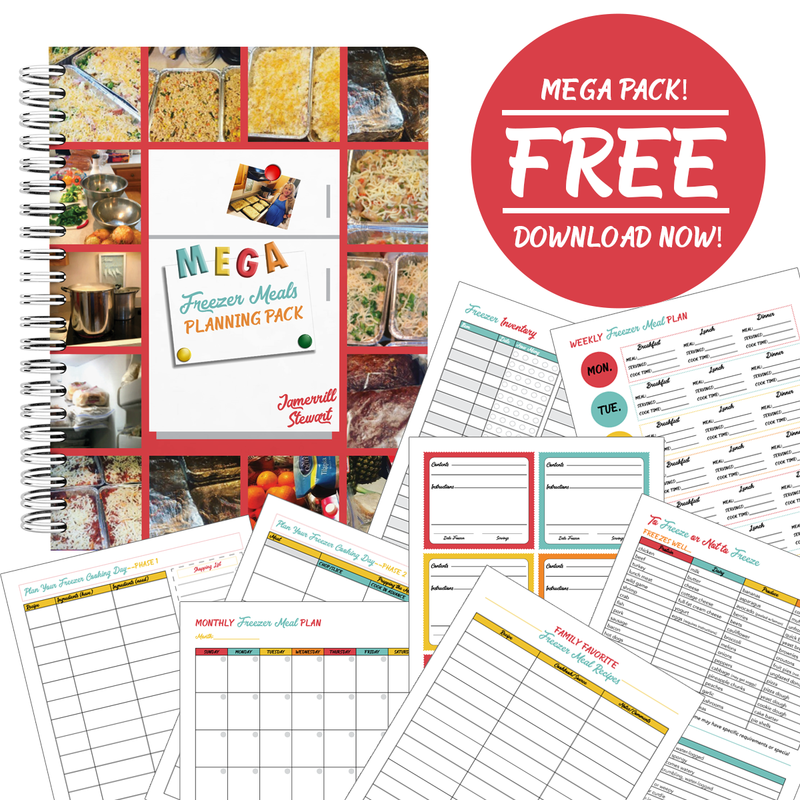 Tell me in the comments about your most recent freezer cooking day! 5 Dozen Blueberry Baked Oatmeal Muffins – Freezer Friendly! 2+ Dozen Parmesan Turkey Burgers – Freezer Friendly! Here’s my full large family freezer cooking video where Daniel and I completed 15 dozen baked oatmeal muffins, hearty hamburger patties for the freezer, parmesan turkey burgers, and freezer friendly tuna cakes! 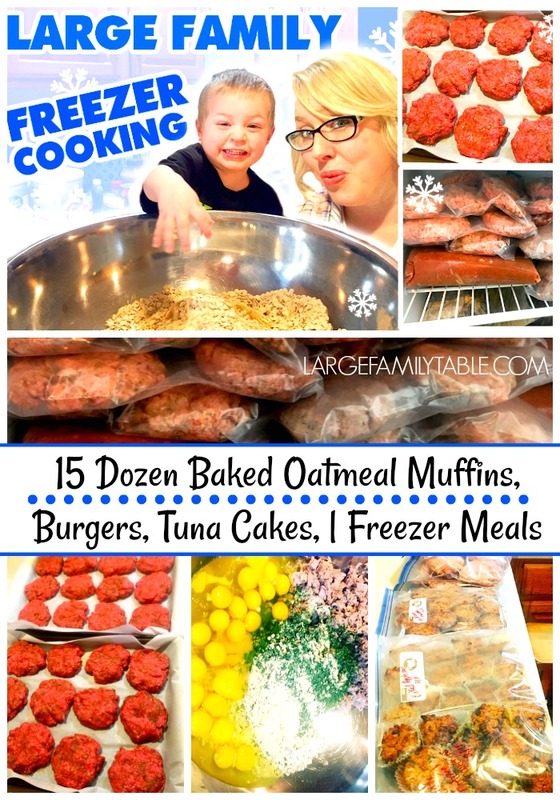 Click here to watch the full Large Family Freezer Cooking Day: 15 Dozen Baked Oatmeal Muffins, Burgers, Tuna Cakes, | Freezer Meals vlog on YouTube! 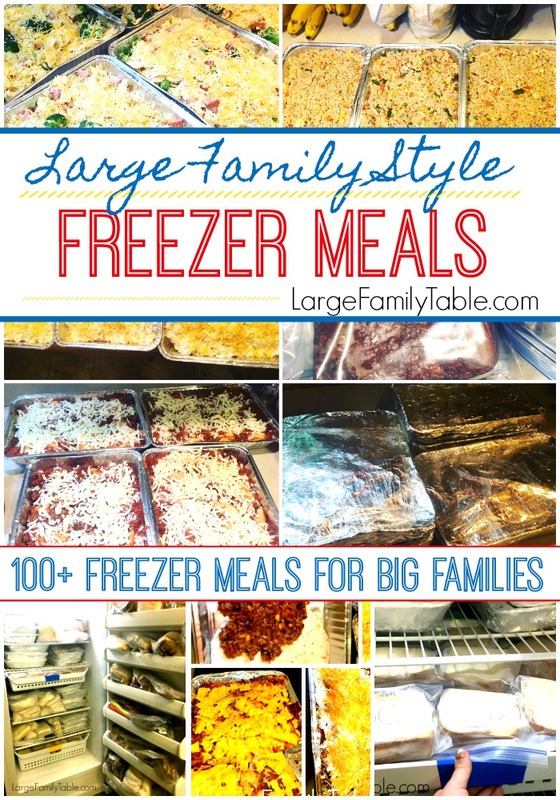 Here’s my collection of various large family freezer cooking days you may find helpful!